One of my hobbies is wild plant identification, which you'll see throughout my books. 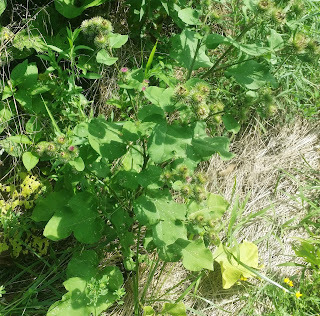 I started doing research on growing, canning, and foraging my own food about five years ago. When you see my characters doing something with plants, whether eating or using medicinally, there's a lot of my own personal research behind it. 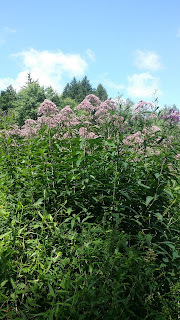 This past weekend, I attended a Late Summer Wildflower Walk in a nearby wildflower reserve. The ranger took us through while identifying plants and letting us know their edible/medicinal uses. It was so much fun, but I'm really glad I brought my walking stick because it was super muddy! Anywho, I wanted to share a few of the plants I've been doing research on. All the pictures I took by myself, but I'll include links for each of them from other blogs/sites that I think are the most informational. 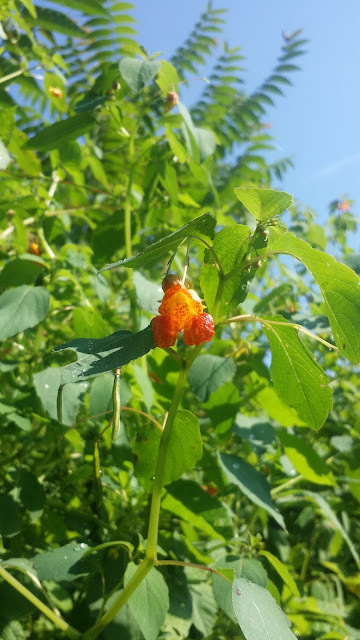 I found a huge bush of jewelweed along a trail while walking my pup, and it was also one of the plants identified on the wildflower walk. 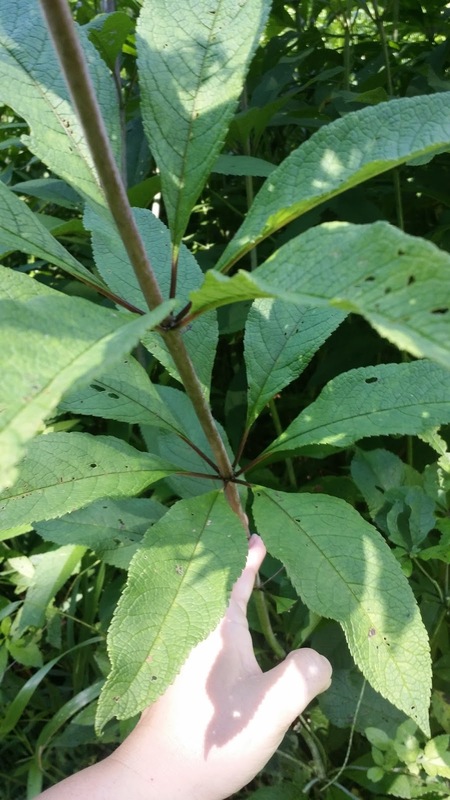 If you ever get poison ivy, hurry up and look for this plant! 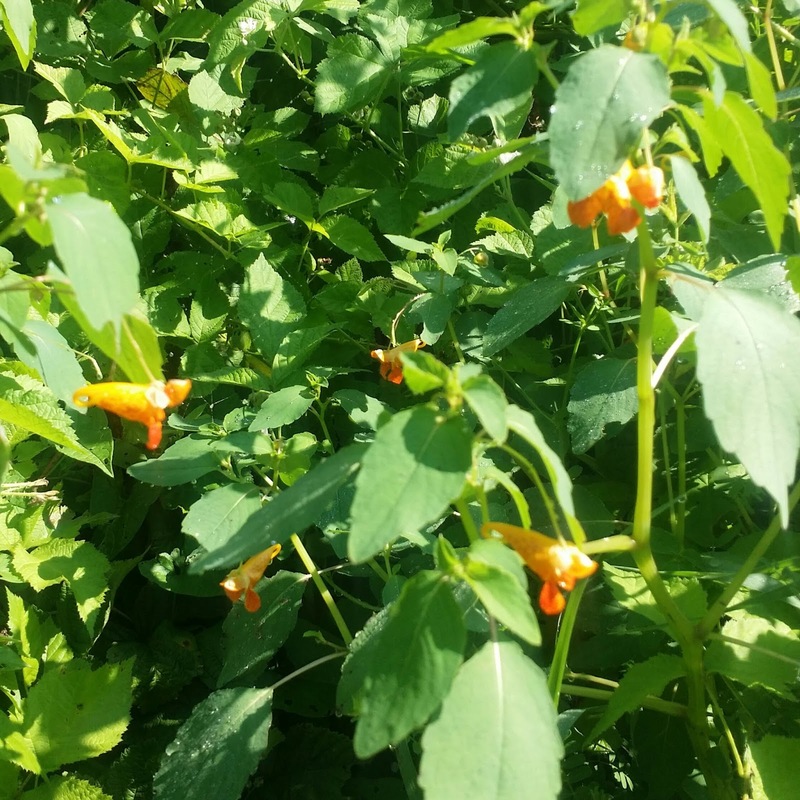 I fount this plant along another trail while walking my dog (can you tell I enjoy identifying plants at any opportunity?). It's everywhere right now! 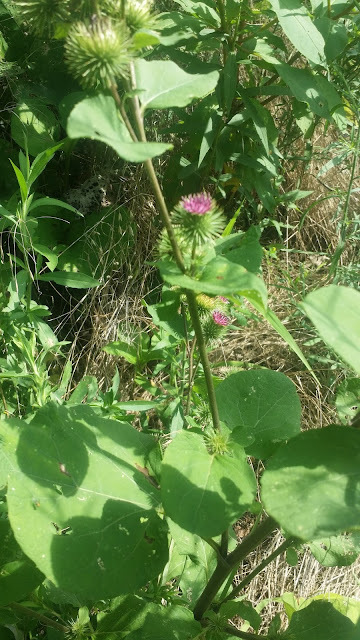 Burdock has many medicinal properties such as purifying blood, easing skin irritations, and helping with diabetes. 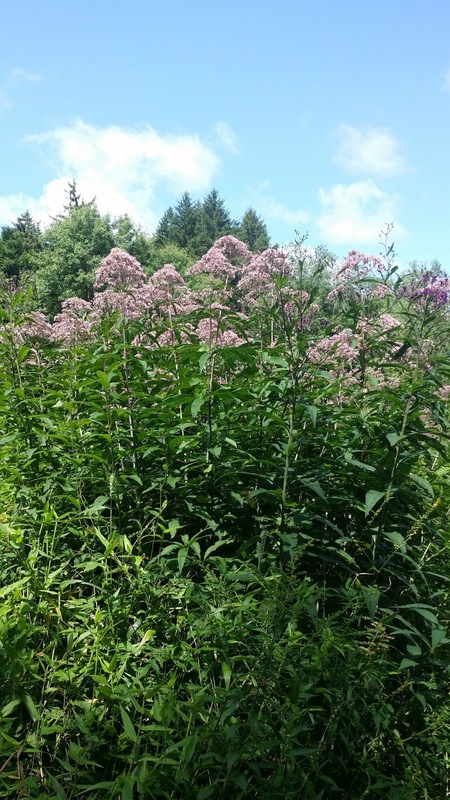 Last but not least for tonight, this beautiful flower isn't just a butterfly magnet. 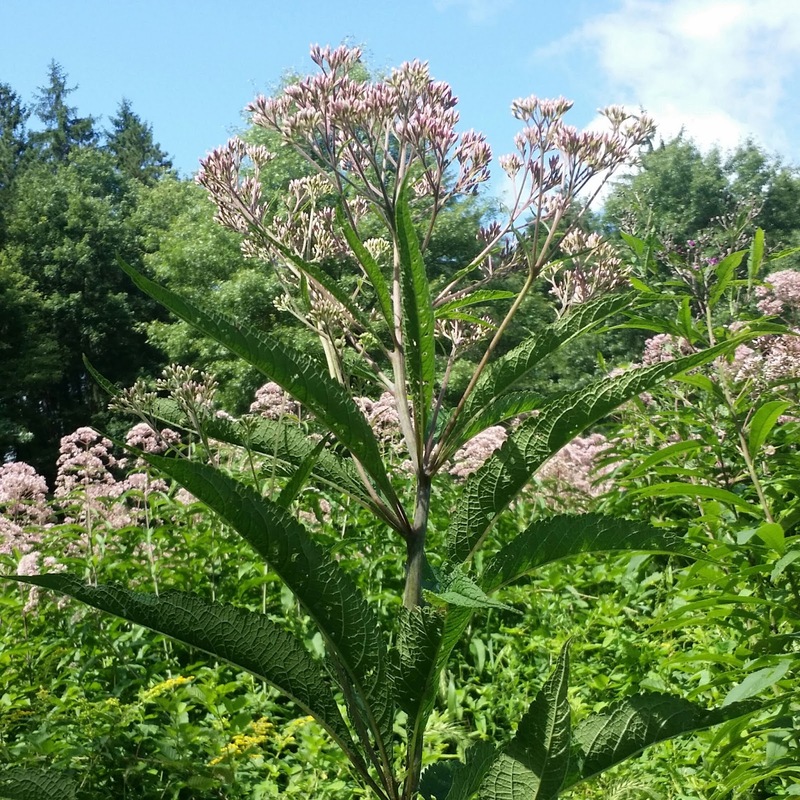 Joe Pye Weed (also called Gravel Root because of the root's appearance) is used for cleansing urinary tracts, reducing chest congestion, and reducing arthritic and rheumatic pains. 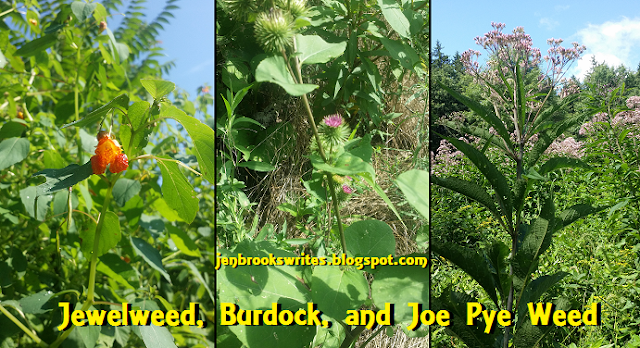 There was an entire field of Joe Pye! Hope you had fun learning about a few plants today! There's plenty more where that came from! I have been posting them on my facebook page since the spring, but I'll work on getting them all on here as well.